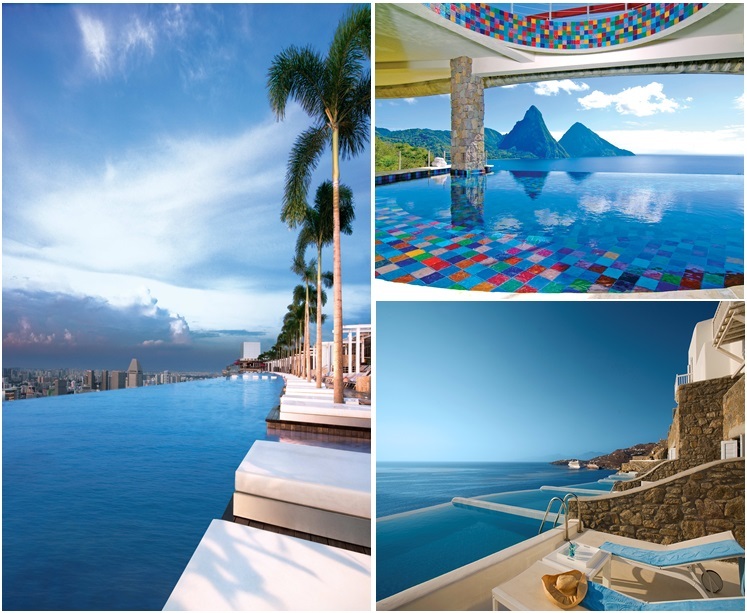 There may be no better way to truly soak in a destination this summer than by lazily lounging beside one of the world's most beautiful infinity swimming pools. 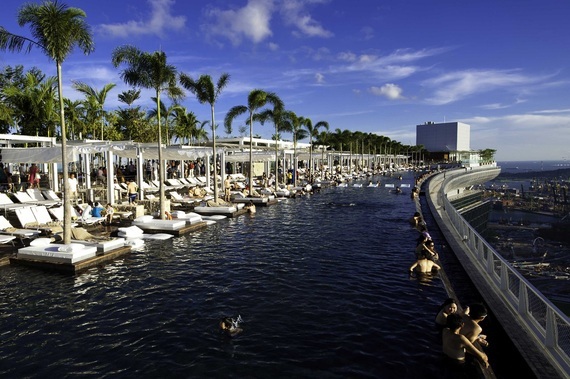 From the crystal clear waters of the Mediterranean Sea to the soaring skyscrapers of Singapore, there may be no better way to truly soak in a destination this summer than by lazily lounging beside one of the world's most beautiful infinity swimming pools. While it's impossible to pick a favorite, hotel search trivago.com introduces you to eight of the most unreal and seemingly never-ending hotel swimming pools on earth. 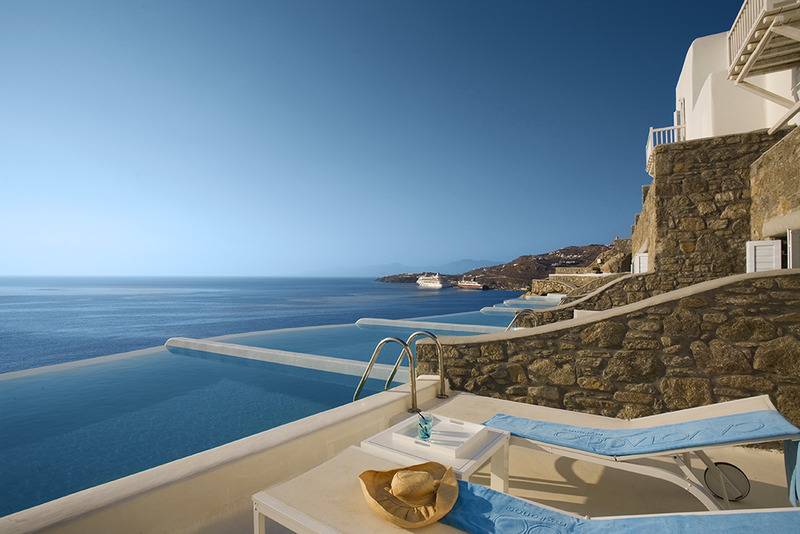 The combination of stark white buildings and crystal blue seas that made Mykonos, Greece world-famous is on full display for guests relaxing by the infinity pool at the island's gorgeous Cavo Tagoo Hotel. 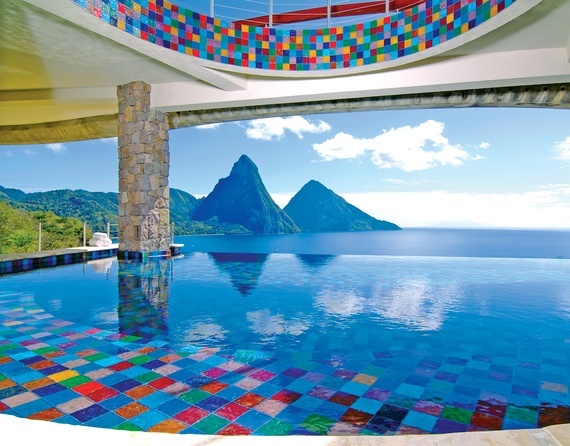 A poolside cocktail while overlooking paradise? Don't mind if I do! 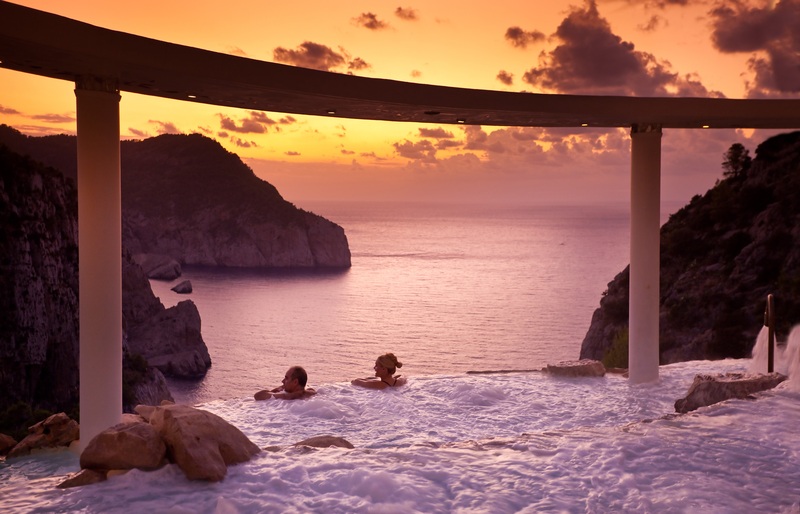 It's easy to escape Ibiza's notorious nightlife when staying at the Hotel Hacienda Na Xamena, a breathtaking cliff side hideaway on the island's coast that boasts a three-tier infinity pool you'll swear was an extension of the sea. Hong Kong's Victoria Harbor is one of the busiest waterways in the world, and guests lounging by the InterContinental Hotel & Resort infinity pool have a front row seat for the action as they seemingly swim alongside the countless ships that dot the city skyline on a daily basis. Sweeping views of the Caribbean await every single guest at Jade Mountain Resort in St. Lucia, thanks to private infinity pools included with every room! One-of-a-kind glass marble tiles, secluded lounging areas and a fiber optic light show after sunset help transform each suite into an unforgettable oasis. Rustic meets romantic at the 5-star, mountain top Lefay Resort & Spa outside of Verona, Italy, which offers guests an infinity pool with out of this world views of Lake Garda, a 27 acre nature reserve complete with olive groves and the resort's many pools, terraces and outdoor hideaways. Swimming among the dozens of skyscrapers that form Singapore's stunning skyline in the Marina Bay Sands epic infinity pool is a must-try for every adventurous traveler. 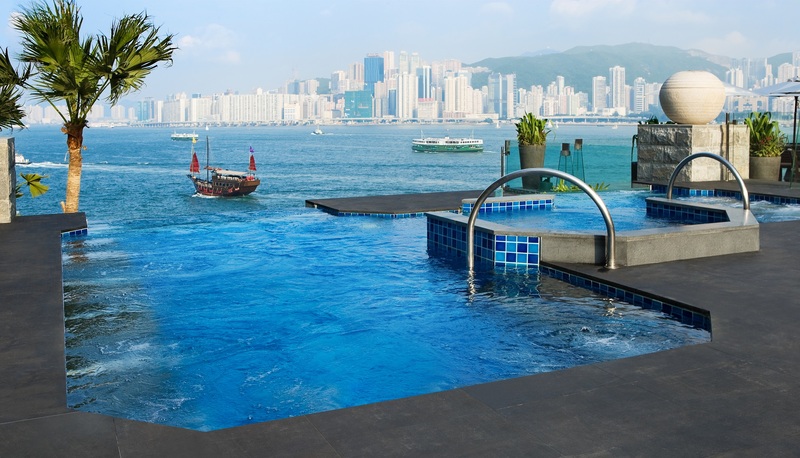 The nearly 500-foot long pool, which sits 57 stories above the city, offers a panoramic view of the Asian metropolis that's only available to hotel guests. 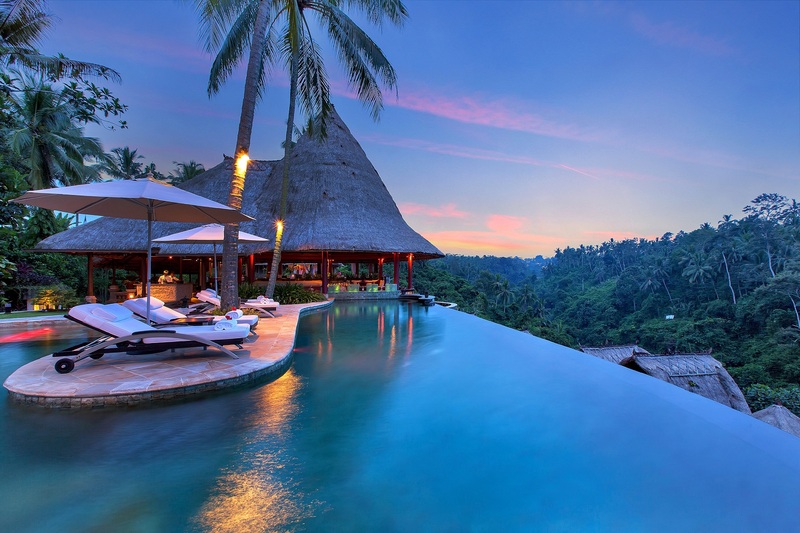 If guests of the Viceroy Bali can muster the motivation to leave one of the island resort's 25 luxurious private pool villas, they'll be greeted by one of the world's most spectacular infinity pools, which offers unparalleled views of the surrounding tropical valley and Petanu River gorge. Located on the Barceloneta boardwalk, W Barcelona's exclusive WET® pool and terrace is the perfect spot to enjoy the Spanish sun with direct access to the beach. 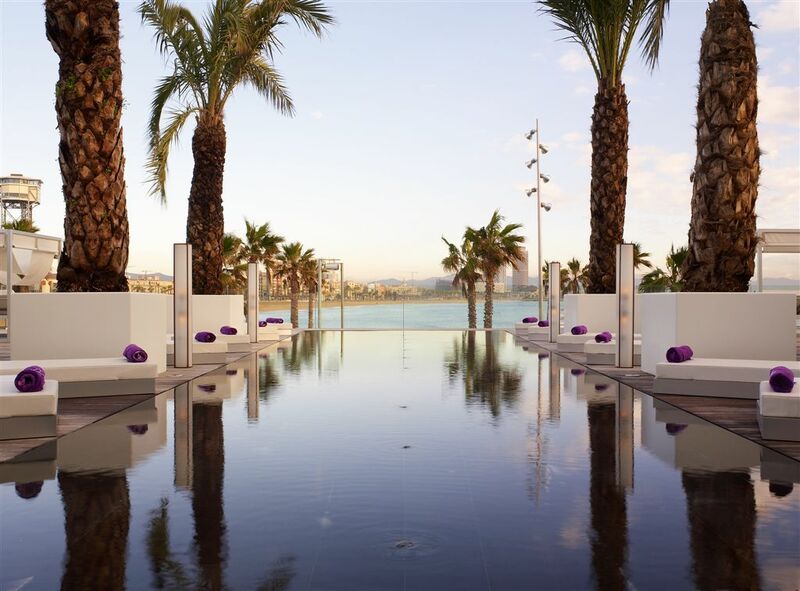 Whether hiding away in a private cabana or relaxing poolside, guests at the WET® deck enjoy exclusive views of Barcelona and the Mediterranean. Connect with trivago on Twitter HERE.